Our Pound holds a Growl on a bi-monthly basis at our Detachment Headquarters. The date and time of the Growls are published in our Detachment monthly newsletter "INCOMING". 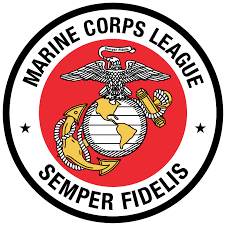 It promotes good fellowship amongst the members of the different Marine Corps League Detachments. The Order provides amusement and entertainment at all gatherings of the League, when and where advisible, preserves and strengthens the principles and ideals of the League, and maintains true allegiance to the United States of America and its Constitution. It fosters and extends American institutions of freedom and defends America against all enemies. The Order is also very active in raising funds for different charities. The Military Order of the Devil Dogs is made up of only members of the Marine Corps League. The Order accepts only the most worthy of League members. You must be a paid-up member and in good standing in the Marine Corps League with at least one year's membership. The applicant must be active in his or her Detachment, and must request membership in the Order. He or she must be recommended by his or her Detachment Commandant and be sponsered by two Devil Dogs or Pedigreed Devil Dogs. The applicant is then interviewed by the members of the Pound at a Pound Growl. If accepted, the applicant must undergo an initiation and swearing-in ceremony. Then he or she becomes a Pup in the Order. The Pound is on a local level. On the State level there is a Pack. On the National level is the Kennel. There are three different degrees in the Order. The lowest degree is that of Pup. The next highest degree is that of Devil Dog, which is attained by undergoing an initiation at a Growl of the Pack. The highest degree is that of Pedigreed Devil Dog, which is attained by undergoing an intiation at a Growl of the Kennel. At least one year must elapse in a member's present degree before a member of the Order may aspire to the next higher degree. The Pup wears a black ribbon, the Devil Dog wears a red ribbon, and the Pedigreed Devil Dog wears a gold ribbon. The ribbon is worn around the neck and a Dog Tag is attached to it. The head of Pound is called the "Poundkeeper". The head of the Pack is called the "Pack Leader". The head of the Kennel is called the "Chief Devil Dog". The Order's many charitable donations not only help people, but also build good public relations for the Order, the League, and the United States Marine Corps. I am an American: I was born in France. I have held the title of United States Marine, and understand the committment of holding the title, Devil Dog. It is a tradition born at Belleau Wood in the year 1918, of a Force In Readiness and the "First to Fight". As a Devil Dog, I ask no quarter and give no quarter. 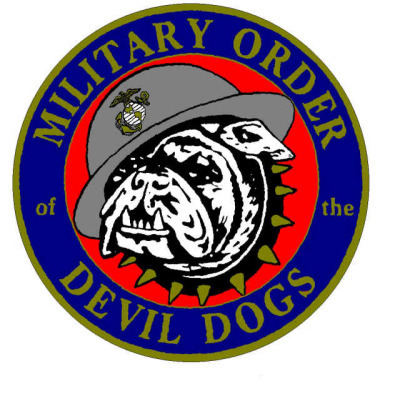 I will do everything in my power to uphold the objectives of the Millitary Order of Devil Dogs and to carry out my duties to a swift and satisfactory completion.